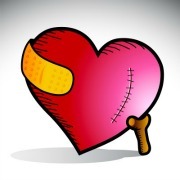 Congestive Heart Failure Nutrition: Surprise Causes! Congestive Heart Failure Nutrition: Why Cure Vitamin D Deficiency to Treat Heart Disease? Recent discoveries for congestive heart failure nutrition include simple but effective interventions -- especially getting more sunshine and vitamin D.
How does vitamin D deficiency cause congestive heart failure? What are scientists are saying? LOW vitamin D levels can explain alterations in mineral metabolism as well as in myocardial dysfunction, and as a result, the heart can have trouble pumping! 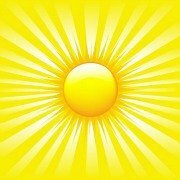 •	Because we are staying indoors in homes and offices, as well as covering up from the sun, many of us are not getting enough vitamin D.
•	Humans make vitamin D, but mostly we need to get out into the sun to have enough vitamin D. Lack of sun exposure often results in an unrecognized vitamin D deficiency. Why's Is Vitamin D Needed for Congestive Heart Failure Nutrition? How is vitamin D deficiency related to heart disease? Vitamin D deficiency has been found in patients with congestive heart failure (CHF). When 54 patients were compared with 34 healthy people, it was found that CHF patients had vitamin D levels that were up to 50 percent lower than healthy patients. •	The MORE severe the vitamin D deficiency, the WORSE the heart failure symptoms were! Researchers speculate that vitamin D may play a role in regulating calcium concentration in the cells of the heart muscle. •	If calcium concentration is not controlled, muscle cells cannot expand and contract properly, which means that blood will not be pumped efficiently around the body. Is Vitamin D the Most Overlooked Vitamin? Why Vitamin D Best Congestive Heart Failure Nutrition? Scientists are saying that vitamin D works as congestive heart failure nutrition by helping to prevent both the development and progression of this CHF. How? •	Vitamin D, it turns out, boosts our natural anti-inflammatory response. And this boost can go a long way to treat a failing heart. •	One clinical trial showed how a high dose of vitamin D could help people with congestive heart failure. This trial's results are in line with earlier studies linking heart disease and vitamin D deficiency. •	Researchers gave a dose of 2,000-IU dose of vitamin D supplement versus a placebo per day to 123 CHF patients. 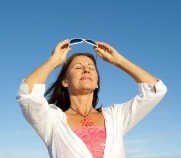 Nine months later, vitamin D patients enjoyed a 43 percent increase a natural anti-inflammatory produced by the body. •	Vitamin D was in this case shown to be an important as congestive heart failure nutrition by improving the body's anti-inflammatory response, a pre-condition for heart disease. In another clinical trial, researchers randomly assigned patients with CHF (mean age: 75 y) to receive either a placebo or a cocktail of micronutrients that included 400 IU of vitamin D.
•	According to one of the world’s foremost vitamin D experts, this vitamin not only improves inflammation, but it also improves muscular function, moderates blood pressure, and probably improves glucose tolerance. These improvements target some of the underlying causes of CHF, including hypertension, myopathy, diabetes, or coronary artery disease. Vitamins B and D for Heart Failure AND Blood Pressure? Vitamin D is more recently being researched for hypertension and for congestive heart failure, after vitamin B has been well established as important as a heart nutrient. The importance of taking extra vitamin B6 and folate to prevent heart disease was shown as far back as 1980 with the Nurses' Health Study. Researchers studied 80082 women and found that the risk of heart disease was reduced among women who regularly used multiple vitamins, the major source of folate and vitamin B6, as well as among those with higher dietary intakes of folate and vitamin B6. Although fish and fish oils have also been well established as heart nutrition, the role of Vitamin D is less known. The good news is, that not only can Vitamin D prevent hypertension, but it can help treat it. "Hypertension appears to improve with vitamin D supplementation whether or not the vitamin is deficient." This new research makes vitamin D a very important congestive heart failure nutrition to consider for both prevention and treatment. We hope that you have found our postings for the causes of coronary heart disease helpful, and that you will now get into the sunshine or take lots of vitamin d! Congestive heart failure is debilitating, and considered to be incurable, so we hope you are now inspired that you can recover again! Yes, hypertensive heart disease is the biggest cause of strokes, but your meds for high blood pressure are likely a part of the problem! Why? Please find out about the side effects of the meds you are taking as a treatment for heart disease, especially for hypertension. These can cause the "low" part of your blood pressure to be "too low" so your heart can't pump your blood back effectively, causing heart failure. Likely your blood pressure medication side effects are part of the problem and you will feel better when taking less! Certainly you will be able to safely add an arginine supplement for a high blood pressure natural remedy to improve your circulation! Congestive Heart Failure Nutrition: Can benefits of vitamin d be a treatment for heart disease – one of the overlooked causes of coronary heart disease?